Mobile devices continue to grow in popularity and as the competition increases for the “next big thing” in smartphones and tablets, many of the associated costs users experience could continue to decline. However, in the business enterprise and specifically the healthcare industry, the cool BYOD trend can often meet an icy reception from management. Bring Your Own Device (BYOD) trends continue to grow along with the rising popularity in wireless devices from a consumer standpoint. Many times in the past, having a wireless device accessing a healthcare network has been seen as a risk greater than having open heart surgery. With advances in network security, that may no longer be the case, but data breaches still pose a significant risk to the healthcare industry. Another hospital in Colorado recently announced their electronic medical records system was infected by a virus which potentially exposed sensitive patient data over a 3 month period. Exactly where and how the virus accessed the network is yet to be determined, but just the fear of attack causes misinformation about the management of BYOD on a healthcare network. Here is evidence as to why concerns about data loss on a healthcare wireless network are beginning to decrease. In a recent survey conducted at the HIMMS 2014 Conference and Exhibition, 90% of those polled believe that the widespread adoption of mobile health services will occur within the next 5 years. 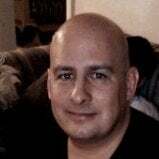 Without the proper education about solutions now available to prevent attacks via rogue access points or untrusted devices, the numbers would be much lower as they relate to mobile or wireless devices. Now, when referring to “mobile health services”, the whole landscape is changing. It’s quite possible that some of the respondents might have been answering with their previous idea about how mobile health services are defined. In the literal sense, “mobile health services” could be physical movement of large-scale vehicles (think about a bus equipped for giving blood on your school campus) that might mobilize towards the site of a natural disaster to help administer medical procedures. On the other hand, forward-thinking respondents could be surmising that “mobile health services” could be defined as medical services conducted over a secure connection by a healthcare specialist for a patient that is not in the same physical location. Here, you might imagine the camera on a smartphone or tablet being utilized by a third party to provide visual evidence of a complex injury or procedure. Both of these scenarios would require some exchange of sensitive patient data over a wireless network of some kind, therefore each is exposed to some amount of risk. Managing devices that enter a physical building and the applications which are utilized while associated to that wireless network are variables that are easier to control, but there is not necessarily a “one size fits all” solution on the market. At the end of the day, it’s about minimizing the risk and some feel that eliminating BYOD from the equation is the most effective means. That line of thinking isn’t really in line with where the industry is heading, therefore it’s important for even the healthcare wireless network managers to be open to how to stay ahead of the consumers. Some of the management concerns about BYOD on healthcare wireless networks has been addressed by integrating solutions that control which applications transverse the wireless network on a daily basis. Bandwidth limitations, security restrictions and other policy enforcement capabilities are now possible with advanced network features at the firewall and even on the access points themselves. Finding solutions that integrate well, without performance degradation, is the tricky part because some manufacturers will make it impossible for all their feature sets to function unless all of their solutions preferred solutions are in place. That’s not a policy congruent with any BYOD success story we have come across - but it’s obviously the “hope” of many manufacturers. 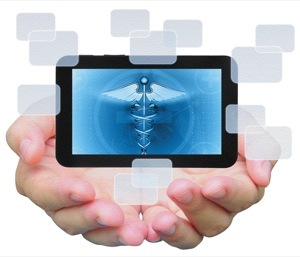 Other companies that produce enterprise-level solutions to accommodate BYOD on healthcare wireless networks seem to have taken a much specialized approach. That is to say that some companies are good at development and implementation of the wireless access solution while others concentrate on developing solutions that scan for known and even unknown threats right at the firewall. 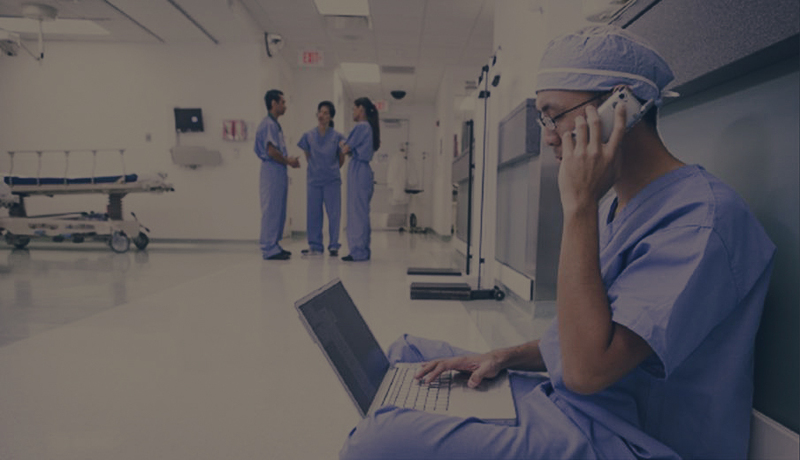 There are so many areas of focus when it comes to securely implementing or improving any BYOD policy on hospital wireless networks that finding a partner that knows how all these systems work together seamlessly should be a top priority to support your healthcare technology initiatives. We are experts in hospital wireless network design and we are always happy to help. Just contact us here with any questions or for a free BYOD readiness consultation. Next Post: Is your School Ready for Wireless Technology in the Classroom?